Since 1999 Paper Posie has published best selling books and products for young wedding attendants or guests. See our selection below. 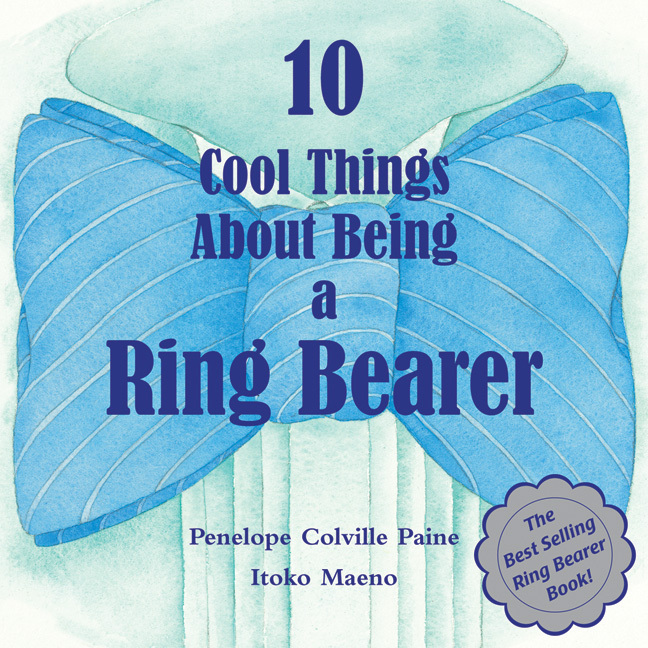 This charming book, beautifully illustrated by Itoko Maeno, helps little Flower Girls understand their roles in the wedding. A wonderful gift to give before the wedding event, one that every Flower Girl will treasure. A great way to help little Ring Bearers understand what their roles will be in the wedding. Fun illustrations and a place to personalize the book make it a wonderful gift for Ring Bearers to receive before the wedding takes place. Every Flower Girl is the star (just look in the mirror on page 29!) 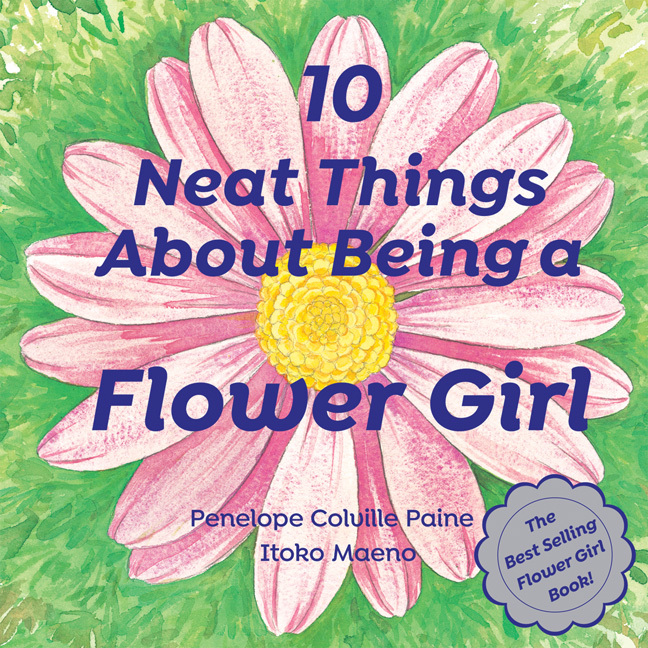 in this trendy new guide for today's Flower Girls. Written in rhyme with pictures that reflect the diversity of our world, this book is perfect for Flower Girls in any wedding. Colorful and trendy, Ring Bearer A to Z will make sure every young attendant will have fun learning about the special part he will play in the wedding. Written in rhyme, each letter of the alphabet ties in to a tradition or sentiment involving the upcoming wedding. There are full color photographs throughout plus a mirror on page 29. Wedding Day Kits for Children are crystal clear plastic self-closing envelopes with handles filled with fun things to do. Wedding Day Kits are perfect for keeping children occupied during long wait times at weddings. Each kit contains: Unbreakable Mirror, Flavored Lip Balm, Two Postcards, Three Crayons, Nine Wedding Stickers, Photo Frame, Wedding Tattoo, Wedding Scavenger Hunt, and Ready to color and make Wedding Fortune Teller. Love to Color Wedding Coloring book is designed with space for young children to include themselves in the pictures. Created to celebrate today's diverse weddings, each 20-page coloring book includes a set of three crayons. Gift of Love follows adorable animals, each adding their bloom to create a lovely daisy chain, a perfect gift for someone you care about. Gift of Flowers identifies individual flowers and their meanings ending in the creation of a beautiful bouquet, a perfect gift for someone you care about. Gift of Luck brings together a variety of nature's gifts and a bounty of good fortune, a perfect gift for someone you care about. Gift of Taste eloquently combines ingredients to create a deliciously tempting cake, great for celebrating a wedding, birthday or other happy occasion. These cuddly white teddy bears are the perfect gifts for little flower girls. With a pink daisy embroidered on their foot, they make a wonderful companion to 10 Neat Things About Being a Flower Girl. Little ring bearers love these cuddly white teddy bears. The blue bow tie embroidered on the foot of each bear makes them a perfect companion to 10 Cool Things About Being a Ring Bearer. Soft and cuddly, these plush Flower Girl Piggy banks have a concealed coin box inside, secured with a hidden Velcro strip on the underside of the piggy. A great way to help little Flower Girls to begin saving for their weddings. These soft, plush Ring Bearer Piggy banks are a great way to start little Ring Bearers on the path to saving. Each has a concealed coin box inside, secured with a hidden Velcro strip on the underside of the piggy. Great to wear at rehearsals and all the events around the wedding, these cotton-blend tee shirts are a big hit with Flower Girls. Great to wear at rehearsals and all the events around the wedding, these cotton-blend tee shirts are a big hit with Ring Bearers.